Winter isn&apos;t a thing to be dreaded. It&apos;s a season to take on its own terms. You can&apos;t bend and shape winter into summer. There&apos;s no need to run from it. There&apos;s no need to moan about it. There&apos;s a beauty and simplicity about winter. You&apos;re only given so many daylight hours, so you have to make the most of them. 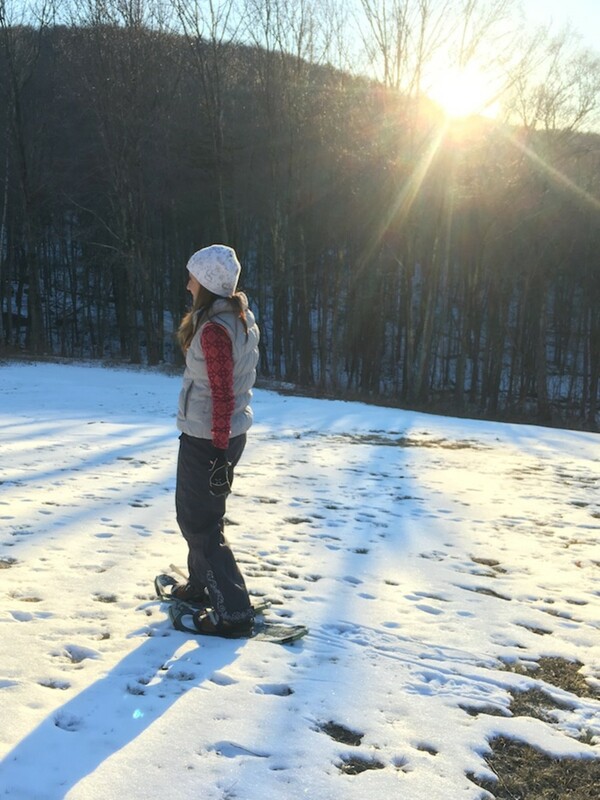 I like making my house cozy and firing up the crockpot and sipping tea as much as the next gal, but I&apos;ve found the trick to loving winter is embracing the cold and getting outdoors. Someone wise once told me, there&apos;s no such thing as bad weather, just bad clothing options. True story for this Maryland girl. My problem with winters wasn&apos;t the cold it was two-fold. I didn&apos;t have any winter activities and I had ALL THE WRONG GEAR. About 15 years ago, I took up winter sports. First downhill skiing, then cross-country skiing, then I added in snowshoeing. And it&apos;s made all the difference. 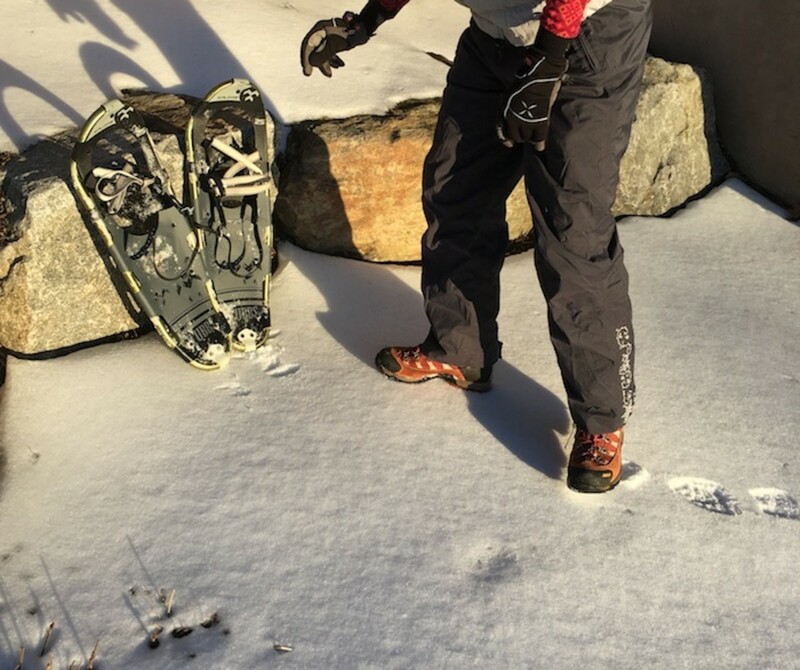 If you are new to winter sports, might I suggest you give snow shoes a first try. It&apos;s a great workout and doesn&apos;t require a ton of gear. Start with sturdy boots. I wear my hiking boots with a thick sturdy sole when I snow shoes. They are easier for the snow shoe bindings to grab onto. Pick an easy flat trail to start. You&apos;ll need a little time to figure out the movement. Walk wide! You&apos;ll need to walk with your feet wider apart than normal. This way you won&apos;t trip on the frames. That&apos;s it...it&apos;s just a walk in the snow. 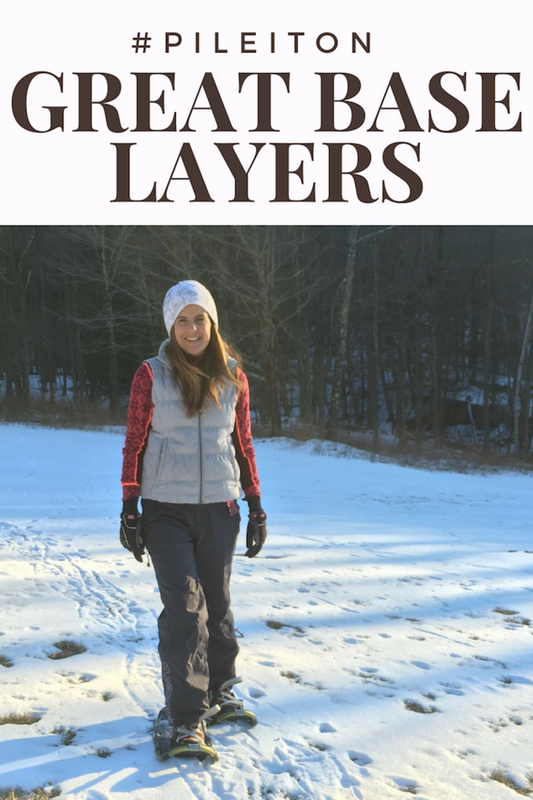 When it comes to what to wear, layers are key for snowshoeing. You need winter for all these activities, and I&apos;ve come to know that winter can provide pleasures that summer just can&apos;t give me. Just as I need a good sunscreen in summer, in winter, I need a strong regimen to keep my skin looking and feeling good. Our skin is the largest and most important layer to prioritize for care and protection. When I&apos;m getting ready for all my outdoor fun, I start with Lubriderm® Advanced Therapy Lotion. Go into any sports store to research snow shoes and you&apos;ll hear about how important layers are. Start with the right lo Lubriderm® Advanced Therapy Lotion. It moisturizes your skin for 24 hours. So even if you&apos;ve showered and moisturized the night before, you&apos;re still covered. After your skincare, be sure to put on some base layers with synthetic wicking fabrics. Next you&apos;ll need a bit of insulation. I added a down vest to keep my core warm. After that I add waterproof pants to keep the snow off. Next is a hat and great gloves. Really, not too much gear involved. The right gear, the right attitude and the right skincare will have you thinking about winter in a whole new way. Lubriderm® is great for keeping skin healthy and moisturized during cold, dry months. Make Lubriderm® your first layer of defense against winter and go out there and try something new. Lubriderm Advanced Therapy Lotion is available at Walgreens for $7.49. I partnered with Lubriderm® on this post. All images are property of Momtrends and may not be used without express permission.